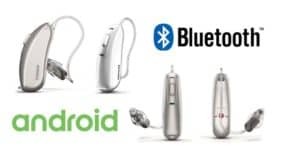 Billed as the first “Made For All Phones” hearing aid, the Phonak Audeo B-Direct hearing aid is the first hearing aid ever to provide direct connectivity to any cell phone with Bluetooth® 4.2 wireless technology and most older Bluetooth® phones, for the wireless streaming of phone calls. This Audeo B90-Direct hearing aid is currently Phonak’s best and smartest hearing aid ever. Built on the hugely successful Belong platform, with 20 channels and a suite of features to ensure a great listening experience in all environments. 1. 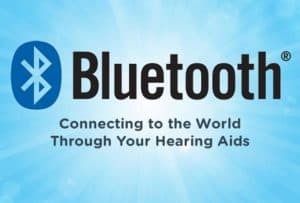 Direct connectivity to any phone: Audéo B-Direct hearing aids can connect to iPhone, Android, and any other cell phone that utilizes Bluetooth® 4.2 wireless technology, which is the vast majority of smart phones on the market. 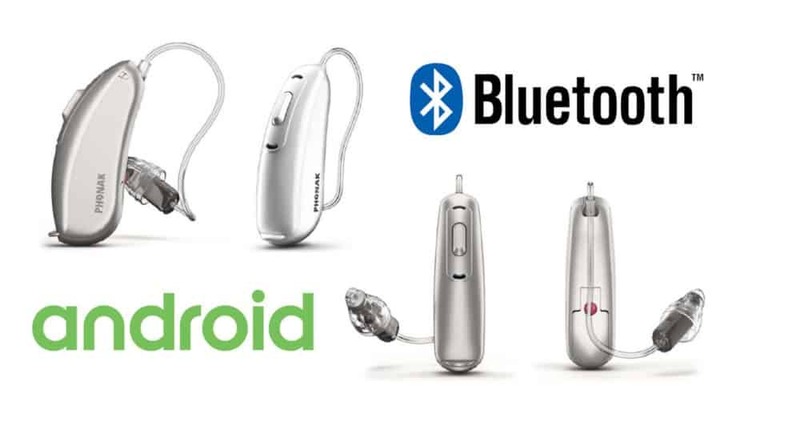 But, the phone doesn’t even have to be a smart phone to work with the Audéo B-Direct, Phonak says most older Bluetooth® phones will be compatible as well, regardless of the brand or operating system. 2. Hearing aids used as a wireless headset for hands-free calls: Audéo B-Direct hearing aids provide truly hands-free functionality just like a Bluetooth® wireless headset. This is something our customers have been asking for for a long time. You see, even with Made for iPhone hearing aids streaming a call through both hearing aids, the hearing aid wearer would still have to hold the phone to their ear (or at least the microphone to their mouth), so the other caller could hear them. That will no longer be necessary with Audéo B-Direct, as the hearing aid microphones are used to pick up the hearing aid wearer’s voice for phone calls- and the phone doesn’t have to be anywhere near the hearing aids. In fact, you can even answer a call with just a quick touch of a button on the hearing aid, and reject a call with a longer press and hold. Have a hard time hearing the TV? Phonak’s new TV Connector accessory has you covered! 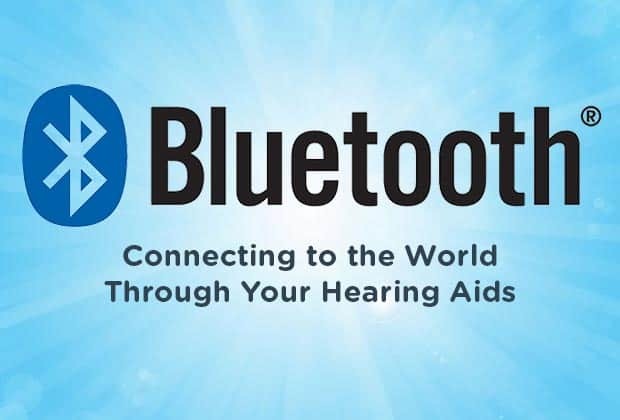 Billed as a “plug and play” device, this USB-powered TV Connector streams audio within a range of 15 meters, effectively turning the hearing aids into wireless TV headphones. As soon as the TV Connector is powered on, it will automatically detect Audéo B-Direct hearing aids within a 1 meter radius, so there is no need for a complicated pairing process. A neat thing about this accessory is it will stream to all connected hearing aids simultaneously, ideal for multiple Audéo B-Direct hearing aid wearers watching TV together.